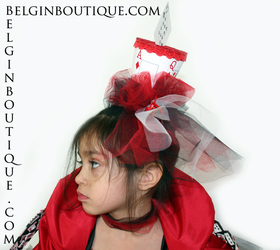 The corset top is made from an exclusive BelginBoutique design. 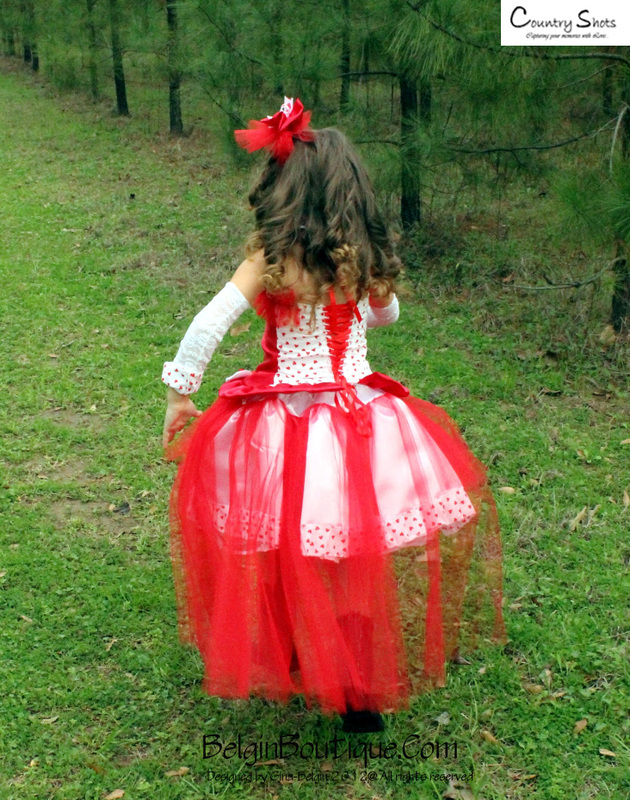 ties on the back with a lace-up. 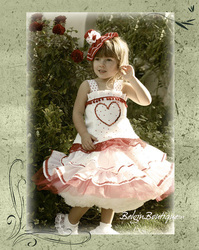 The sleeves are made in a BIG princess style from matching fabrics. 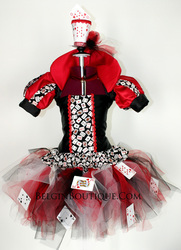 The set comes with a big red princess style collar. So beautiful! 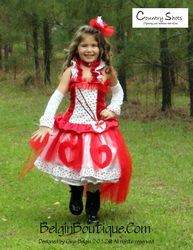 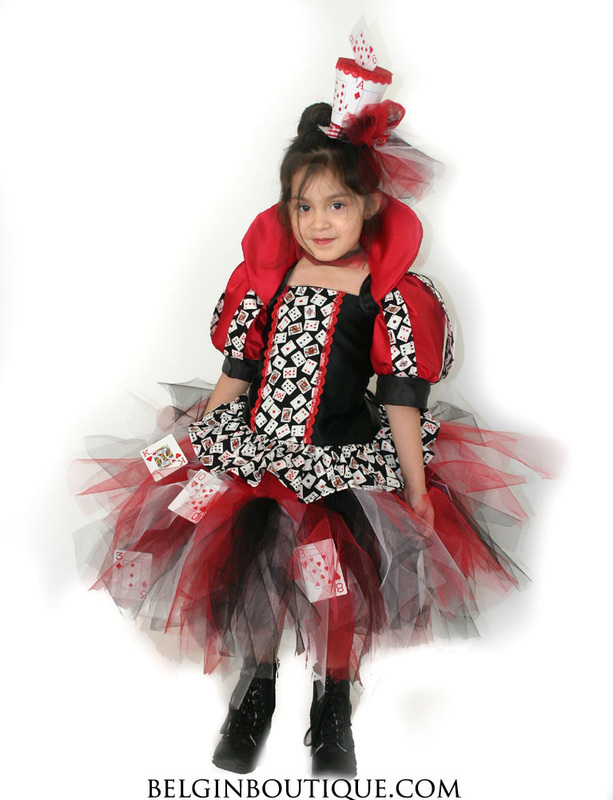 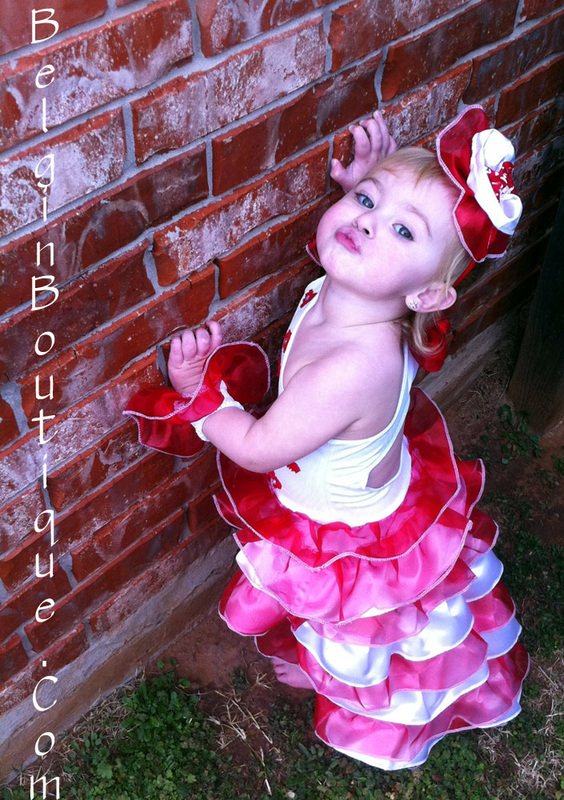 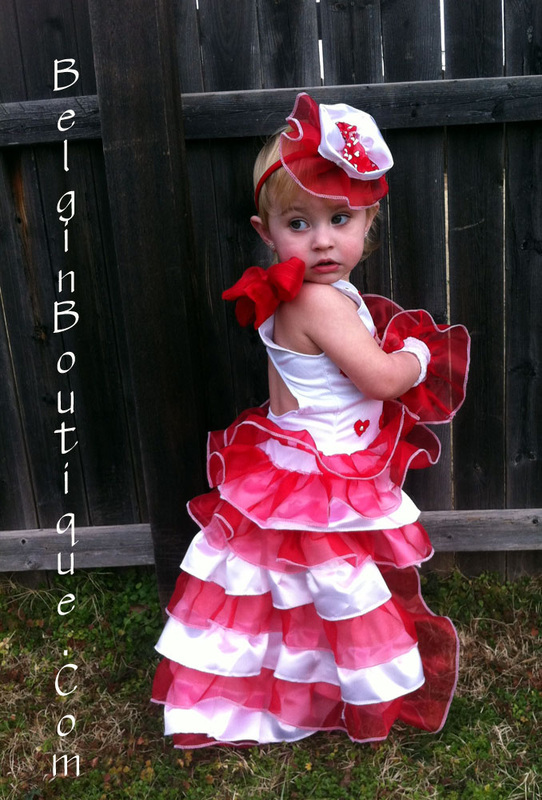 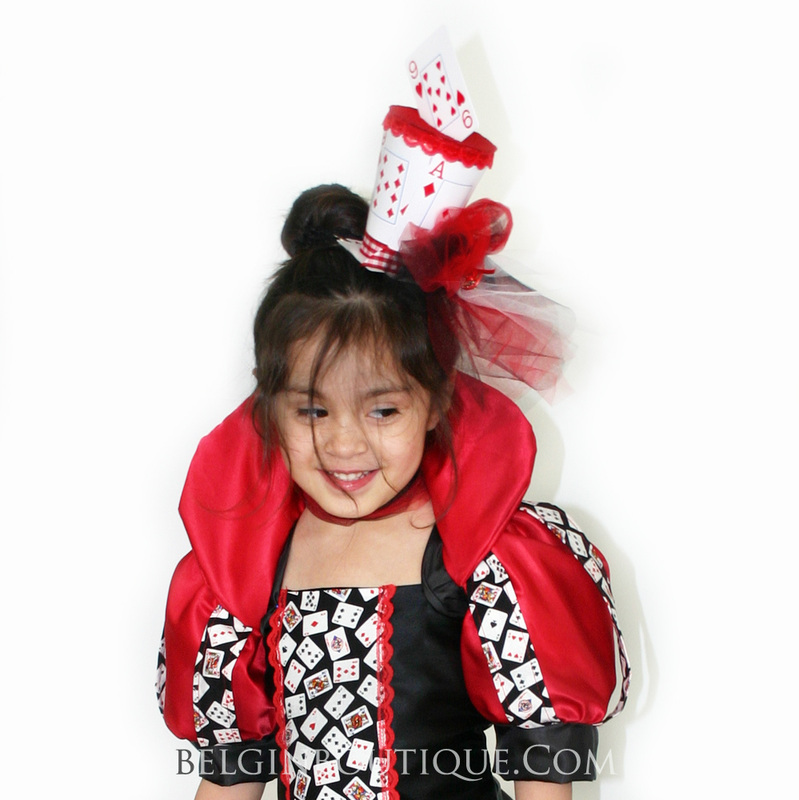 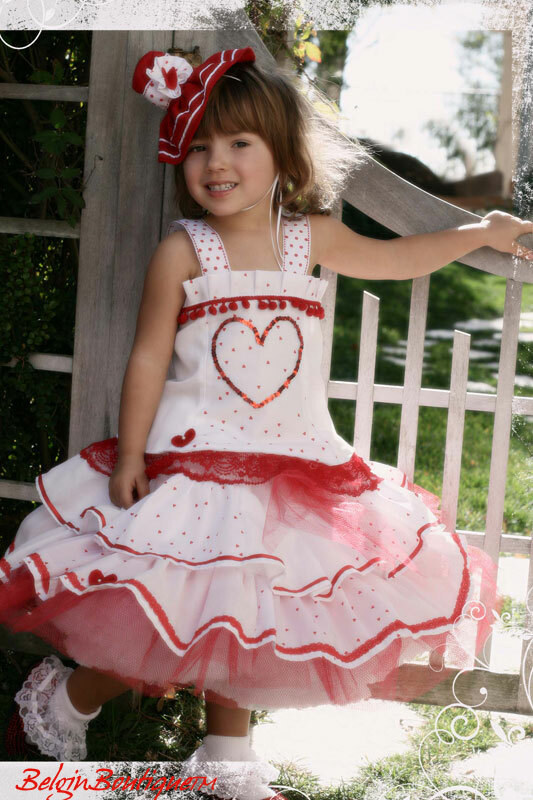 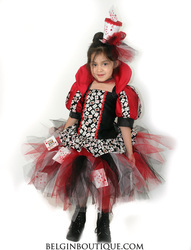 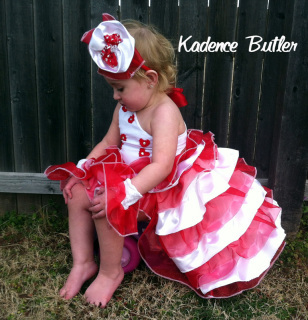 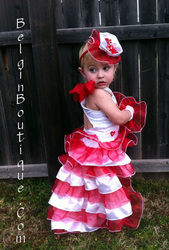 The skirt is made in tutu style with red, white, and black tulle with an elastic waist. 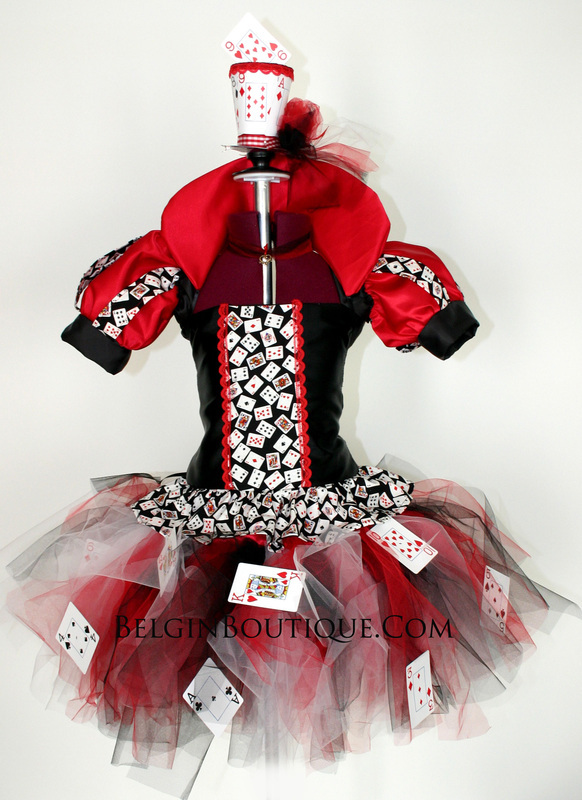 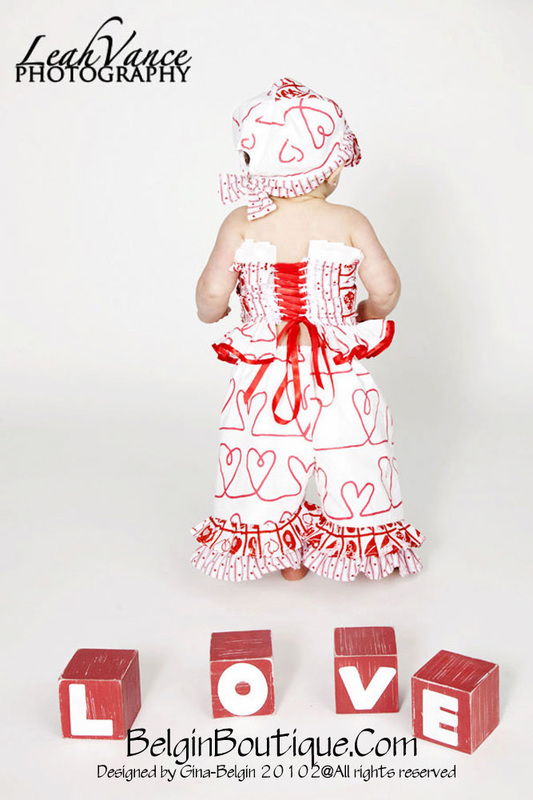 I added several cards hand-sewn onto the skirt. The choker and hat are sold separately. This dress set turned out so gorgeous! 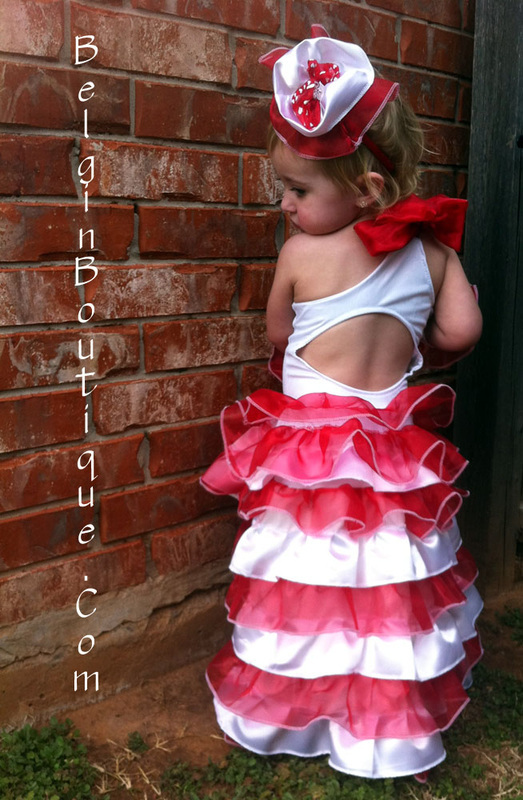 The top of the dress is made from a white stretchy fabric and adorned with glitz! 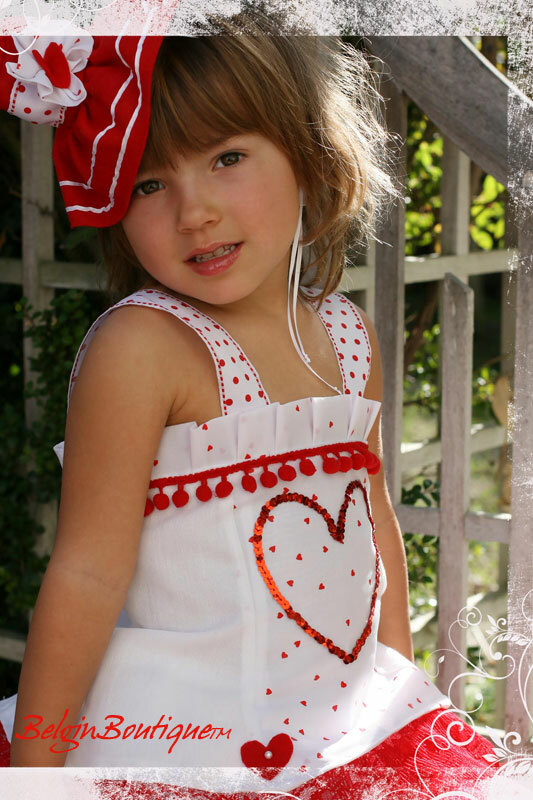 Each hand-sewn heart comes with a crystal. The top is one-shoulder with open strap for easy wear. I made a cute 0 cut on back. 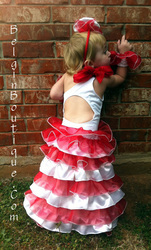 The skirt has red and white ruffles in cascade style! The skirt is made from my new style: short in the front, long on the back. 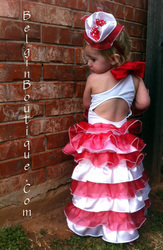 Fully lined with soft white satin fabric. 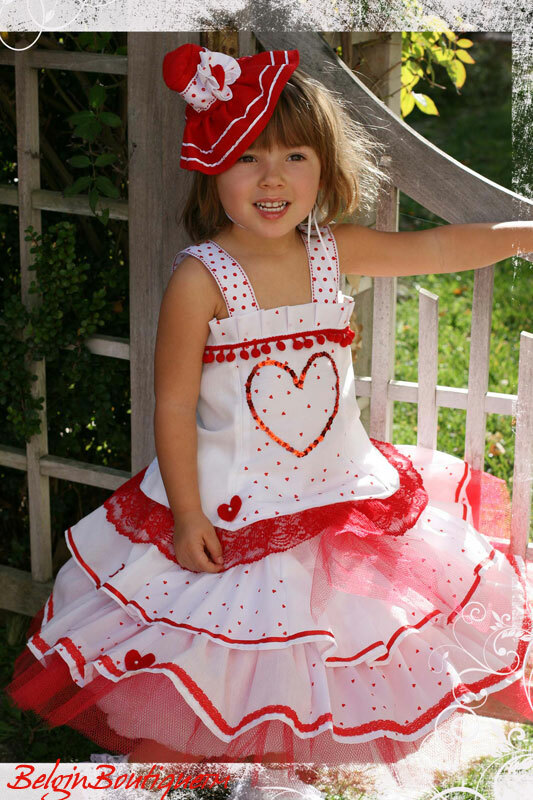 The dress comes with a red headband and bowl short sleeves. The corset top is made in patchwork style and closes on the back with a lace-up. 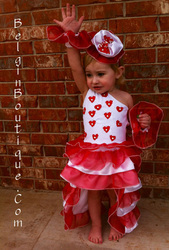 The front is adorned with red sequins and little hearts. I added a double ruffle collar with elastic for comfort and perfect fit. 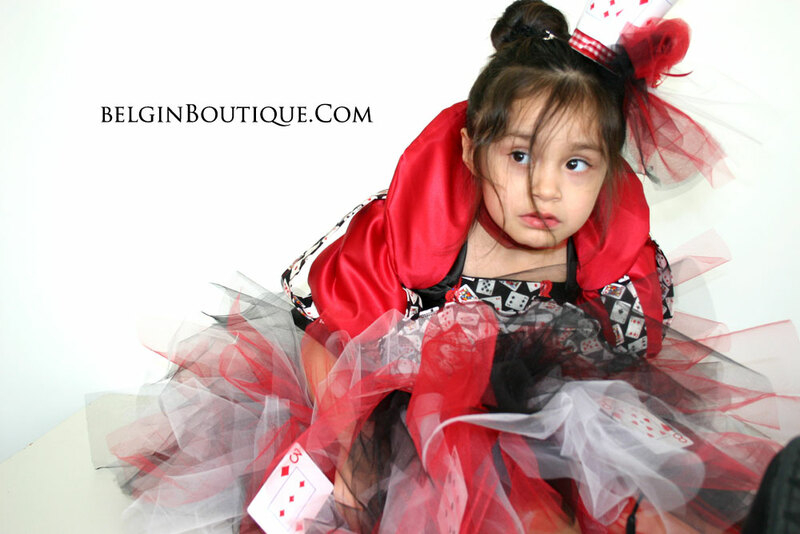 The skirt is made in double-layer style. The first layer is made from red tulle, and the second layer is made from white satin. I added double hearts to the front of the skirt. 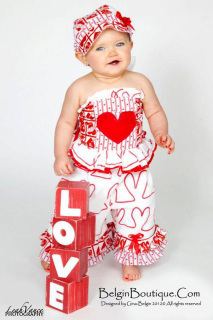 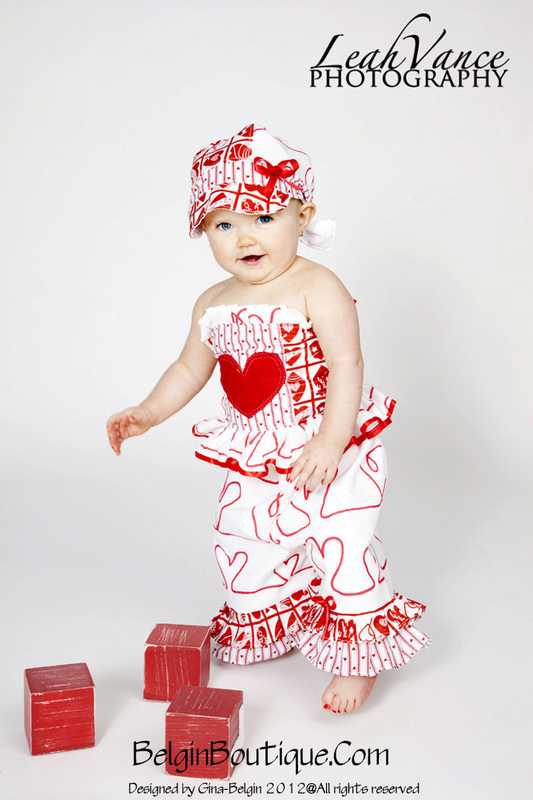 The hem ends with a little red hearts ruffle. 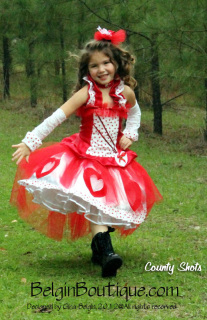 Little red hair bow is included.